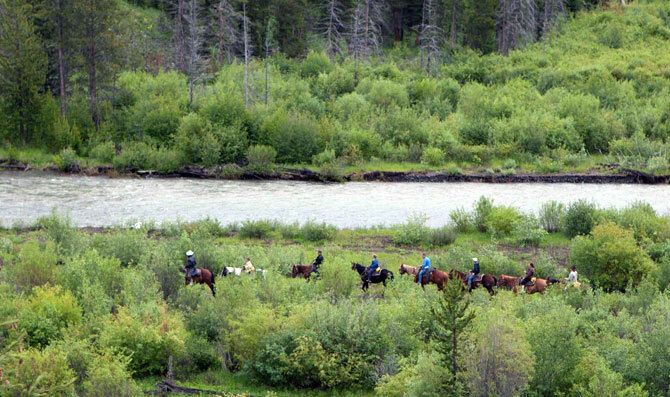 Our experienced wranglers are familiar with the forest trails which stretch for miles in every direction and are great with horses and people too! They have several favorite trails which, in a short time, can have you high on a mountainside or in a lush mountain meadow. 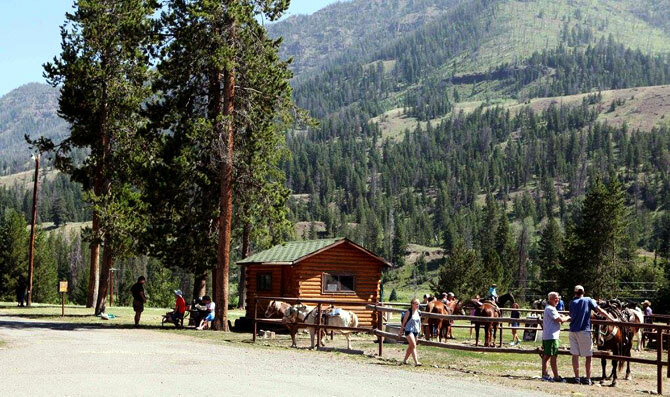 Our horses are gentle and surefooted enough so that the young or inexperienced rider can share the enjoyment of a ride through wilderness scenery along the wild game trails of the Shoshone National Forest. An early morning ride is a great time to see the wildlife. A late afternoon ride can be the perfect way to end your day. 1/2 day and full day rides available with reservations. 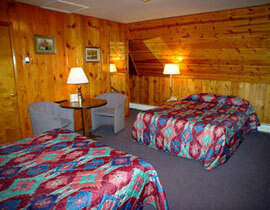 Single efficiency rooms, 4 rooms to an A-Frame cabin. 2 Room private cabin, sofa & a small porch. 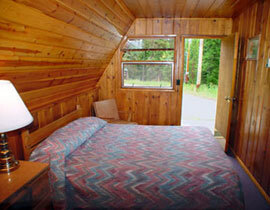 A-Frame rooms in our duplex cabins & mountain views. Located in our duplex Honeymoon Cabin. 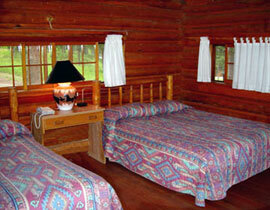 Rooms located in a front duplex cabin. 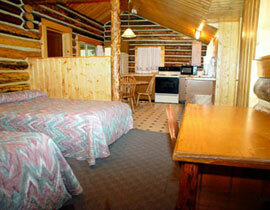 Full kitchen and porch - "The Housekeeping Cabin"
Log cabins with a variety of bed size combinations. 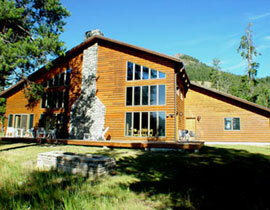 Spacious 2-story modern house with fireplace and full kitchen. 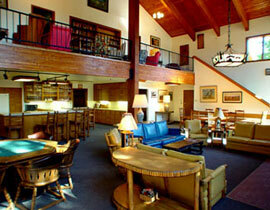 Great location for weddings, reunions & corporate retreats. Like us on Facebook to see what's new! Make your reservations today! 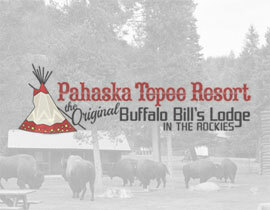 Pahaska Tepee has cabins, large and small, near Yellowstone, a full-service restaurant & tavern, family-fun summer & winter outdoor activities, fishing, horseback rides and dramatic mountain scenery! Come see our Hoodoos! Copyright © Pahaska Tepee 2017. All rights reserved.